For a baseball fan like myself, it's always a great summer when your home team is involved in a pennant race. My hometown Philadelphia Phillies have found themselves in the race for most of the past half dozen summers, finally reaching the playoffs a year ago when they won the National League East Division pennant on the final afternoon of the season. The Phils chased down the New York Mets last season, edging them by a single game after trailing by 7 1/2 games with just 17 left to play. This year the Phils are not in such desperate shape heading into the final week of the season. In fact, the club is firmly in control of it's own playoff destiny. By winning their last 7 straight games, they have taken a lead over the Mets by a half game in the NL East, and the New Yorkers have lost their closer, Billy Wagner, for the remainder. Better still, the Phils are two games up on the Milwaukee Brewers, the nearest pursuers to the Mets for the NL Wildcard berth, and the Brewers may have just lost their 2nd best starting pitcher, Ben Sheets, for the remainder. So the Phils enter the next-to-last weekend in first place, and with a firm grasp on a playoff spot. They probably need finish only 5-4 to get the playoff berth, though will perhaps have to do better than that to nail down the divisional title. The Phils offense began the season being led by a red-hot Chase Utley, who bolted out of the gate on fire for the first two months, and Pat Burrell, who was picking up where he left off last season with big hits. Utley and Burrell's fire was needed, as both Jimmy Rollins and Shane Victorino spent significant time on the Disabled List early on, and Ryan Howard was ice cold the first two months. Just when Utley and Burrell began to cool, Howard heated up significantly, and was joined by outfielder Jayson Werth in leading the offense. Victorino returned and also got hot, and as September began even J-Roll began to get his game together and started producing. Howard has remained hot since June, and is a leading NL MVP contender heading into the final week, needing perhaps just one more hot week leading the Phils to that division title to clinch it. But the real reason that the Phils are in this solid position right now is an unexpectedly strong performance from the pitching staff, especially the bullpen. Cole Hamels has been as good as advertised most nights, and Jamie Moyer has once again defied Father Time to post one of his most consistently strong seasons in years. Brett Myers was downright awful for the first three months, got sent down to the minor leagues, and since returning two months ago has simply been one of the best pitchers in baseball. Joe Blanton was added in trade to provide stability, and he has done just that. He will never be a lights-out stopper, but he gives you a dependable, veteran, quality start most times out. Kyle Kendrick kept winning for awhile, but it was with mirrors, and the league finally caught up to him. To the rescue has come lefty J.A. Happ, who has been solid every time the Phils have given him a chance. In the bullpen, the off-season trade to bring in Brad Lidge as the new closer has proven to be perhaps GM Pat Gillick's best acquisition to date. Lidge has been perfect in save opportunities, though he has struggled from time to time since being misused in the MLB All-Star game back in July. The rest of the pen has also been solid, with Chad Durbin, J.C. Romero, Ryan Madson, Clay Condrey, Rudy Seanez, and now the newly acquired Scott Eyre holding most of the leads with which they have been entrusted. Greg Dobbs and Eric Bruntlett have been invaluable off the bench, and Pedro Feliz has been one of the best defensive 3rd basemen in the league when healthy. The Phils catching combo of Chris Coste & Carlos Ruiz is highly underrated. And for the pennant push there are veteran bench bats Geoff Jenkins, Matt Stairs, So Taguchi, and Tadahito Iguchi around for depth and pinch-hitting. 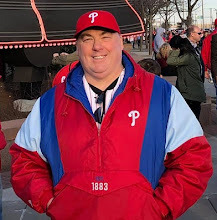 Charlie Manuel's team appears like it has everything that it needs heading into the final games, and hopefully into the playoffs, and there is every reason for we fans to believe that not only will this pennant push be successful, but that the season will continue well into October.